Meet the cutting-edge fintechs transforming banking and connect with 5,000+ decision makers paving the way. Gratis! Not only will you meet the innovators -- Mambu, Mitek, Insikt -- but also learn from the banks pioneering the adoption of fintech like Discovery Bank, HSBC and TD Bank. 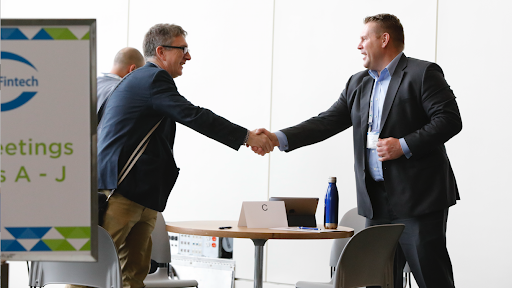 Two days at a LendIt Fintech event will save you months of research identifying relevant solutions and meeting the right providers. Our audience wants to meet you -- the banks and credit unions looking for relevant digital solutions to help them gain a competitive advantage. We love to connect potential business partners! You must agree to a maximum of five 15-minute onsite meetings with our participating sponsors, if requested. We use a double opt-in process to ensure the meetings are valuable to both parties. We will schedule your meetings around those sessions you want to attend. Then, your final meeting schedule will be sent to you prior to the event.